The Probst Jumbo BV Vario is the ideal piece of equipment when laying kerb stones. Packed with innovative safety features it makes the Jumbo BV the must have item of plant for all kerb laying jobs. “SAFESTOP” restricts allows the operator to restric the slewing range of the machine, therefore allowing the Jumbo BV to be operated next to a ‘live’ carraigeway knowing the machine will not cross teh path of traffic. 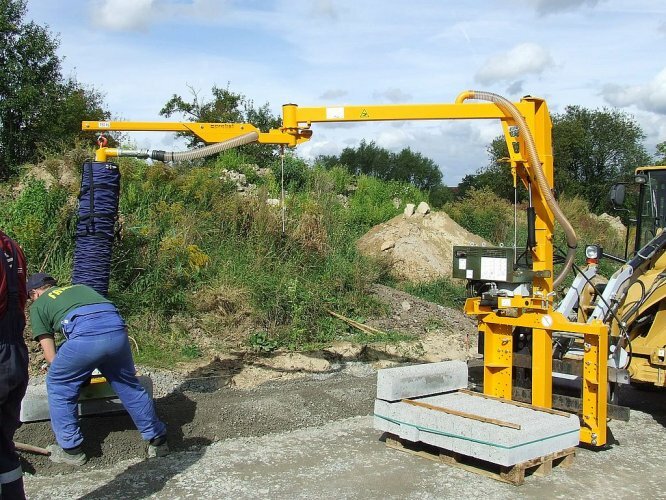 This make the Probst Jumbo BV capable of laying 150KG Kerb Stones quickly, safely!